I had Windows 7 installed on my C: drive. I only have one disk, so I followed the instruction on http://www.howtogeek.com/197647/how-to-dual-boot-windows-10-with-windows-7-or-8/ to install Windows 10 side by side with my Windows 7. 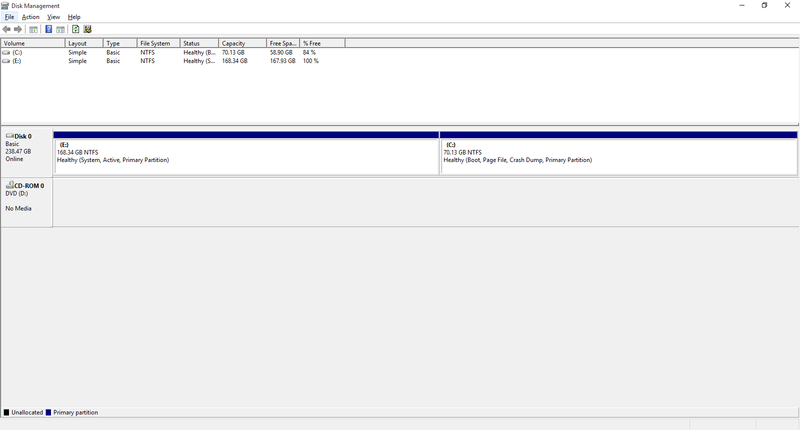 I shrank my C partition and created some unallocated space where I installed Windows 10. The partition where Windows 7 was originally installed is assigned the letter E. It was actually showing up without any letter so I decided to give it the letter E.
How can I dual boot? I need Windows 7 back. I think my old drive C was using McAfee Endpoint Encryption. You can add easily a boot loader for Windows 7 using Visual BCD Editor. In Windows 10 download and install Visual BCD version 0.9.3.1. (For fixing .NET 2 requirement for utility to run - you don't need to install .NET 2, see How to enable a .NET 2 application for .NET 4, will be amended in next version of tool). Not the answer you're looking for? Browse other questions tagged windows-7 boot partitioning multi-boot windows-10 or ask your own question. Why do I get a GRUB error after deleting the Linux partition?